The world’s mass-producers of solar cells are continually incorporating these advances into their own solar cells, meaning that the panels on rooftops are steadily getting more efficient too. The techniques that made the world’s first 20 per cent silicon solar panels 30 years ago are just now being translated into the production lines of the world’s largest solar panel manufacturers. What will solar cells look like in 20 years’ time? In 20 years’ time the solar panels on your roof will probably look the same as now with their aluminium frame and glass front, but they will likely be a whole lot cheaper and at least half again as efficient thanks to smart engineering. One of the exciting developments in the field is a new semiconductor called “methyl ammonium lead iodide perovskite”. Solar cells made out of this cheap and easy to produce material have already achieved 20 per cent efficiency in the lab — matching the efficiency of today’s silicon cells. 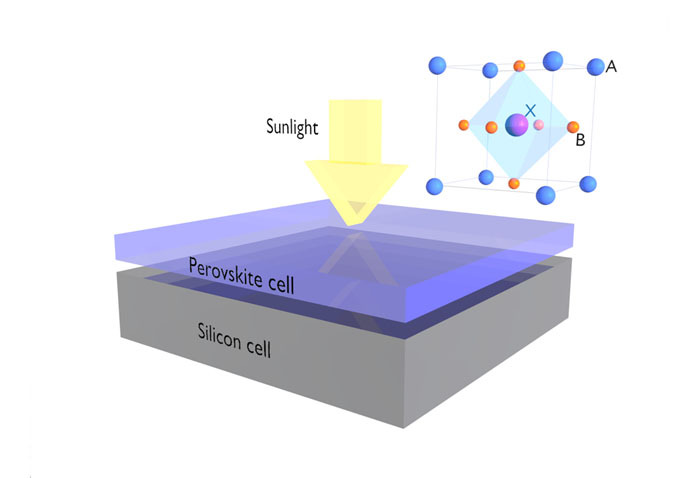 The research team I am part of at Monash University and CSIRO is experimenting using perovskites as the top layer in double-decker “tandem” solar cells that absorb different colours of sunlight in each layer. 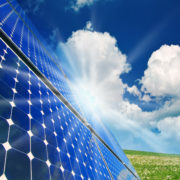 How ‘green’ are solar cells? It takes about two to five years for a solar panel to “pay back” the energy that went into making them (depending on how sunny it is where you live). This includes the energy needed to mine the silicon and process it into a solar cell, and also make the aluminium frame and glass in the panel module housing. Silicon is the second most abundant element in the Earth’s crust (second to oxygen in the silicon dioxide that makes up sand and quartz), so there will not be any material shortages in the foreseeable future. The increased focus on solar energy and recent policy changes, such as withdrawal of certain tax benefits in wind energy, could impact new investments in the latter and hamper India’s chances of achieving the target of 60 gigawatts (GW) of wind energy capacity by 2022, according to companies and analysts. India has set itself the target of achieving 100GW of solar energy and 60GW of wind capacity by 2022. It currently has 27GW of wind and about 8GW of solar capacity installed. The country is adding solar capacity at its fastest pace and is attracting interest from global renewable energy firms, pension funds and sovereign wealth funds. In 2015-16, for instance, it added over 3GW of solar capacity and 3.3GW of wind energy. The previous year, it added 1.1GW of solar capacity and 2.3GW of wind. “In our opinion, the increased focus on solar power has had a negative impact on wind power as the latter struggles for funding and policy support,” ICICI Securities Ltd analysts Prakash Gaurav Goel and Apoorva Bahadur wrote in an 8 August report. India’s wind energy sector faces several challenges this fiscal, according to analysts and executives in wind energy companies. The government has proposed to end generation-based incentives (GBI) for independent power producers (IPPs) and reduce the accelerated depreciation (AD) benefits to 40% from the current 80%; it is also looking to move to a new system of reverse bidding for certain wind energy projects versus the current feed-in-tariff mechanism. In a reverse auction, the role of buyer and seller is reversed and a business bid is won by an entity quoting the lowest price. Feed-in tariffs effectively compensate generators of wind and solar power by setting a price per unit that covers their cost and guarantees a certain rate of return. A third problem comes by way of goods and services tax (GST) which, when implemented, will push up costs for both wind and solar project developers as some tax exemptions are likely to go away. Taken together, these may hurt the internal rate of return (IRR) for investors and deter new investments. The reduction in tax sops, together with hike in duties and taxes can have an adverse impact on the equipment manufacturers and wind installations, brokerage firm CD Equisearch Pvt. Ltd said in a 30 May report. Meanwhile, the cause of solar energy has been helped by a sharp fall in equipment costs. Over the past five years, wind turbine generator (WTG) costs have fallen about 20% while those of solar modules have fallen by about 80%. This has, in part, helped solar tariffs to fall to a record-low of Rs.4.34 per kilowatt-hour (kWh) in January from around Rs.17 per kWh in 2010. 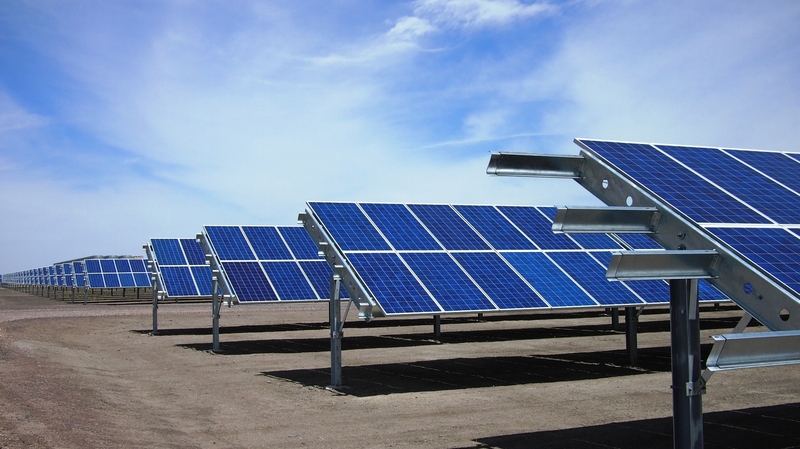 This could mean a better IRR for solar energy projects. The IRR is used to measure the attractiveness of a project. Solar is receiving preferential treatment from both investors and the policy-making community due to its higher capacity growth potential compared to a more mature wind energy market, said Jasmeet Khurana, associate director at renewable-energy-focused consultancy Bridge to India. Expectedly, clean energy companies, which were predominantly focused on wind, are now entering the solar energy market. These include CLP India Pvt. Ltd, ReNew Power Ventures Pvt. Ltd, Ostro Energy Pvt. Ltd, and Mytrah Energy (India) Ltd.
India’s largest wind turbine maker Suzlon Energy Ltd also entered the solar energy market earlier this year. 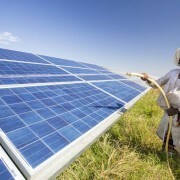 Investors, such as Finnish utility Fortum Oyj, Dutch pension fund APG Asset Management, Canadian pension fund Caisse de dépôt et placement du Québec (CPDQ), Japan’s SoftBank Group Corp., Italy’s Enel Green Power, and French utility EDF SA have announced significant investment commitments in India’s solar sector in the past year alone. “It’s just that in terms of size of the market, solar energy is growing much faster year-on-year; a lot of wind capacity has already been installed. The good sites are already taken, and some wind projects are facing other issues, in terms of payment delays. For example, the state of Maharashtra has not signed power purchase agreements,” said Khurana. The central government has also recently announced awarding 1GW of wind power projects connected to the Central Transmission Utility under reverse auctions in a bid to ease transmission of wind power to non-windy states. Only eight states in India are suitable for wind power projects —Gujarat, Karnataka, Maharashtra, Andhra Pradesh, Tamil Nadu, Rajasthan, Madhya Pradesh and Telangana. Almost all of India’s 29 states are conducive for solar projects. “Our channel checks on various key wind states suggest fair amount of challenge for wind developers from timely payment to denial of PPAs (power purchase agreements) to power back-down,” Goel and Bahadur of ICICI Securities wrote. Because there are significant variations in the amount of wind power generated, grids usually reserve the right to unplug them. This practice, called power back-down, leads to losses of billions of units of green power. Both sources of power have their place, said a spokesperson for Suzlon Energy, India’s largest wind power company. The company estimates the wind energy sector will grow 30% this year and expects an annual increase of capacity by 5 GW by 2018-19. “Both sources are not in competition but are complementary to each other; the real competition to renewables is coal,” the Suzlon spokesperson said in an email response. The spokesperson added that unlike in the past, today the sector is driven mostly by independent power producers rather than investors solely focused on the accelerated depreciation benefit. To boost wind sector’s growth, the central government has also announced a re-powering policy, which aims to replace old wind turbines with new, high-performing ones. Suzlon said it is the custodian of about 30% or 850 MW of wind assets out of the 3000 MW identified by Ministry of New and Renewable Energy (MNRE) for re-powering, which would lead to higher plant load factors (PLFs) and ultimately higher returns. Still, at least some companies are having to choose between the two, said an executive at a renewable energy company. “Solar is flavour of the season right now,” said Ravi Seth, chief financial officer at ReNew Power, which has over 1 GW of operational renewable energy projects. “It’s not as if the focus on wind is going down, but the way solar bids are happening, obviously everybody is very focused on that sector; there’s so much capacity coming on line. And therefore, for any company, it becomes a capital allocation issue,” said Seth. According to Anubhav Gupta, analyst with Maybank Kim Eng Securities, wind energy currently is more profitable than solar due to lower capital costs and prevailing incentives. “Wind offers IRRs of 15-20% compared with 10-14% in solar… Solar will always add capacities at a higher rate because of the higher volume targeted in solar,” he said.